The initial M medallion necklace from the Tiny Treasures collection by Roberto Coin will give you personal appeal! 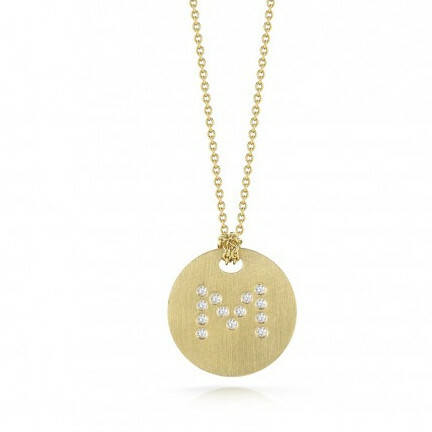 The 18kt brushed gold medallion showcases the M initial with enchanting white diamonds. 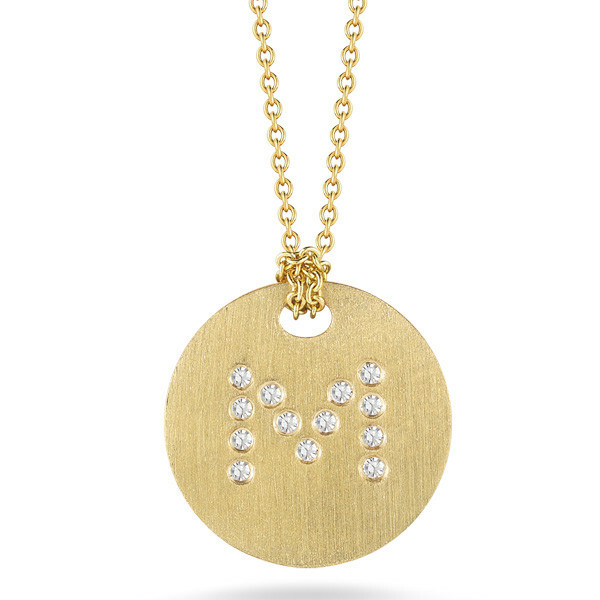 This pendant dangles from an 18kt gold rolo chain which is adjustable from 16" to 18". 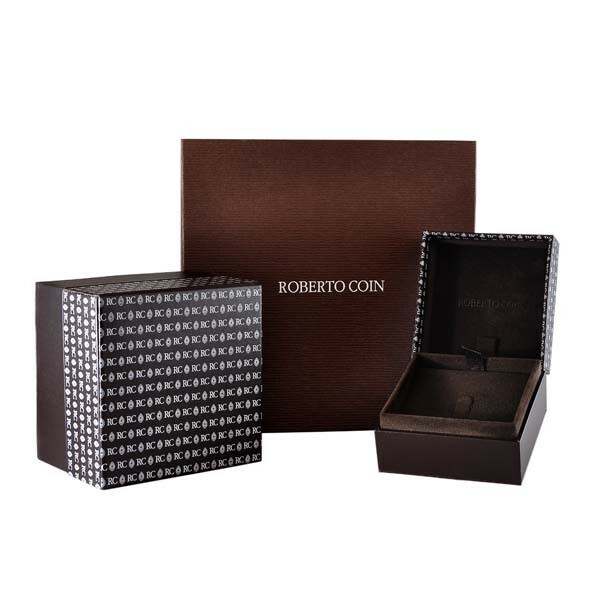 Look fabulous in Roberto Coin's tiny charm!